Speakers at the Congress include the most important decision-makers and prominent experts in the area of labour law, social security, and the coordination of social security systems. 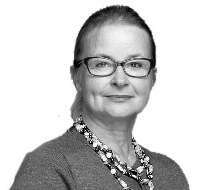 European Commissioner for Employment, Social Affairs, Skills and Labour Mobility since November 2014. She obtained a degree in law at the Catholic University of Leuven (1979). 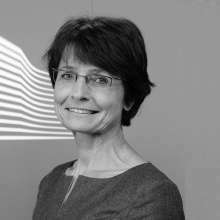 She was successively legal adviser, head of a research department and acting Secretary-General at UNIZO (a Belgian organisation for the self-employed and small and medium-sized businesses). She entered European Parliament in 1991 and was re-elected 5 times. 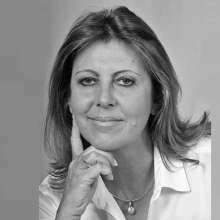 During her almost 23 years as a member of European Parliament, she mainly focused on economic and social issues. Between 2008 and 2010 she was also the President of her party, CD&V (the Flemish Christian Democrats in Belgium). Advocate General at the Court of Justice since 23 October 2013; Professor of Law (2013); lawyer (2001-08), member of the Committee for Private International Law of the Civil Law Codification Commission under the Ministry of Justice (2001-08); member of the Board of Trustees of the Academy of European Law, Trier (from 2008); member of the Research Group on Existing EC Private Law (‘Acquis Group') (from 2006); Undersecretary of State in the Office of the Committee for European Integration (2008-09), then in the Ministry of Foreign Affairs (2010-13); Vice-Chairman of the Scientific Board of the Institute of Justice; Agent of the Polish Government in a large number of cases before the European Union judicature; Head of the Polish delegation at the negotiations on the Treaty on Stability, Coordination and Governance in the Economic and Monetary Union. Vice-Chair of the Committee on Employment and Social Affairs. Member of the Polish Parliament in 2005-2009. Since 2009 Member of the European Parliament (7th and 8th term). Responsible, among others, for issues related to labor mobility, protection of workers employed abroad, support for job creation initiatives, and elimination of administrative burdens on businesses. Winner of Labor Mobilis 2013. As the rapporteur on the Enforcement Directive on the posting of workers, she directed the work of the European Parliament related with the application of the document . The author of the opinions on European Fund for Strategic Investment and on the investment for growth and jobs. Rector of the University of Economics in Krakow. In the years 2002 - 2008 he served as the Dean of the Faculty of Commodity, then he was selected the Vice-Rector for Student Affairs (until now). In the years 1998 - 2007 he also served as President of the Board of the PTT. In the years 2004 - 2008 he was vice-president of the International Society of Commodity Science and Technology. 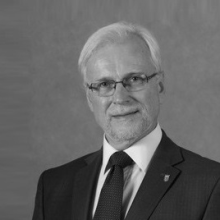 Since 2011 he is the vice-president of one of the Section at the Polish Academy of Sciences based in Poznan. 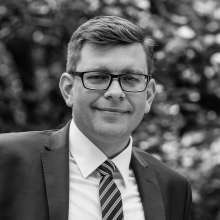 Member of the European Network of Forensic Science, Polish Society of Forensic Medicine and Criminology and Polish Forensic Society, author of over 120 scientific publications. Professor of Economics. Former Deputy Prime Minister and Minister of Economy, Labour and Social Policy. 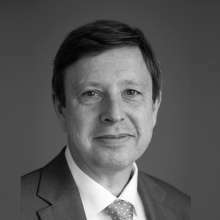 Founder and longtime Director of the Department of Economy and Public Administration at the Cracow University of Economics. Member of the Polish Economic Society. Member of the Monetary Policy Council. Member of the Economic Sciences and Labor and Social Policy Science Committees at the Polish Academy of Science. Member of the Adam Mickiewicz Institute Advisory Council. Laureate of Kisiel Award. 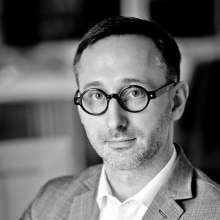 Editor of the “Competitive Poland” report, written at the initiative of the President Bronisław Komorowski. Ph.D. in Law (Jagiellonian University, Krakow), DESS (University Reims Champagne Ardenne). Référendaire at the Court of Justice of the European Union since the 1st May 2004, initially in the Chambers of Judge Makarczyk and, since October 2009, in the Chambers of Advocate General N. Jääskinen. 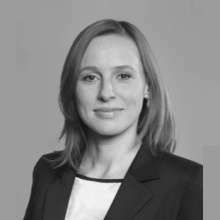 Called to the Polish Bar, she is also a lecturer at the Jagiellonian University of Krakow teaching EU Procedural Law. 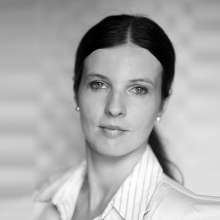 She frequently appears as a lecturer in the training programmes for judicial practitioners of the Academy of European Law (ERA, Trier). He is working for the European Commission in Brussels since 1992. He carried out various functions within the European Commission. Since 1996, he is working in policy areas related to the Internal Market. Since July 2009, he is in charge of the unit dealing with professional qualifications and their recognition in the context of free movement of citizens inside the European Union. Director of the Department of Social Dialogue and Labour Relations at the Polish Confederation of Private Employers ‘Lewiatan’. Since 2008 labour market expert at the Ministry of Labour and Social Policy. In the years 2012-2014 Director of the Department of Economic Analysis and Forecasting. National Coordinator of the Generations Solidarity Programme - Promoting of Activation of People over 50 years old. President of the Social Council 50+, acting at the Ministry of Labour and Social Policy. Member of the macroeconomic unit established under Preparation for Euro Adoption in the Republic of Poland. Polish delegate to the Committee on Employment, Labour and Social Affairs at the OECD (ELSAC). Specializes in labour market and social issues. Lawyer, graduate of Jagiellonian University, Ph.D. in economics. Honorary member of Polish Association of Social Insurance (PSUS). 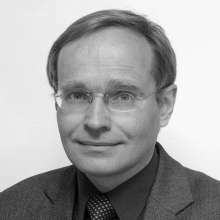 Associated with Cracow University of Economics since 1994, where he is Adjunct Professor at the Department of Public Economics and Administration. Social insurance and labour law expert. Participated in international research programmes dedicated to pension systems. Author of publications on social security, labour law, public economics and administration. Supervised to a successful conclusion over two hundred masters theses and other papers. Lawyer. Professor at the Jagiellonian University. Author of approx. 90 publications in the field of labour law and social security law, including two books on the freedom of movement of workers. Specializes in labour law of the European Union. Member of the European Labour Law Network - a platform for dialogue between European labour law experts and European Commission’s official advisory board on issues relating to the labour law. Lecturer at many postgraduate trainings and trainings for judges. Member of the editorial board of the magazine " Labour Law Monitor ". 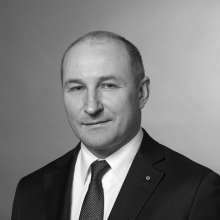 Head of the International Insurance Department, Central Unit of Polish Social Insurance Institution. Prominent practitioner and consultant. Expert on social security of workers posted abroad within the framework of free provision of services. 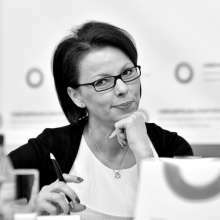 First-rate expert in determining the applicable law and implementation of the Regulation (EC) No 883/2004 of the European Parliament and of the Council of 29 April 2004 on the coordination of social security systems. Since 1995 associated with the National Labour Inspectorate. Served as Deputy District Labour Inspector for legal and organizational matters. Currently she is employed in the Chief Labour Inspectorate as the Chief Specialist in the Department of Legality of Employment where she is responsible mainly for issues related with the posting of workers in the framework of the provision of services, compliance with the provisions related to temporary work, as well as for combating and preventing human trafficking and exploitation. MEP of the 6th and 7th European Parliament term. Played a key role in drafting the enforcement directive on posting of workers. For this, she was nominated by the Labor Mobilis Competition Jury to the Labor Mobilis Award 2013. Honorary Member of the Labour Mobility Initiative Association. President and co-founder of Contact Europe - Poland's first professional company engaged in business lobbying. 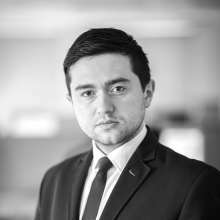 Senior Associate at Domański Zakrzewski Palinka, specialises in labour and social security law, advising on corporate restructuring, internal rules and representing employers in their contacts with trade unions. 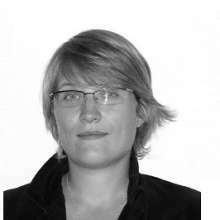 She has particular experience advising on optimal forms of employing key personnel. Advises on social security issues, including in particular their cross-border aspects. Represents employers in labour disputes over existence of the employment relationship, overtime, discrimination or workplace harassment. 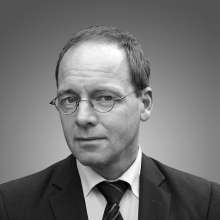 Lawyer, attorney-at-law since 1998, Geschäftsführer (CEO) at ETL Rechtsanwälte Rechtsanwaltsgesellschaft. Certified specialist for labor and employment law as well as commercial and company law, head of the association employment law amongst ETL lawyers. 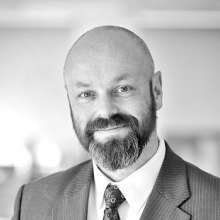 He has particular experience in representing and advising several employers including nursing service companies especially concerning transborder issues. Currantly he is increasingly engaging himselfself in minimum wage law and his realization. Lawyer, graduate of the Faculty of Law and Administration at the Jagiellonian University. Completed legal advisor application at the Legal Advisers' District Chamber Council in Krakow in December 2014. Specialist in the field of international labour law, European law, and social security law with special emphasis on the freedom to provide cross-border services. 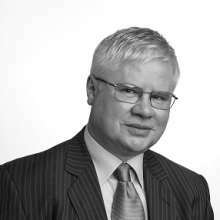 He gained his extensive professional experience working at Krakow’s law firms.